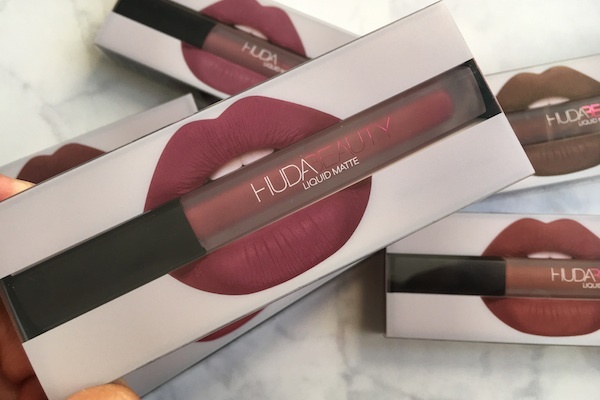 "Non-drying, featherweight, densely-pigmented and with a stunning, suedette finish, there's nothing about Huda Beauty's Liquid Mattes we're not obsessed with. 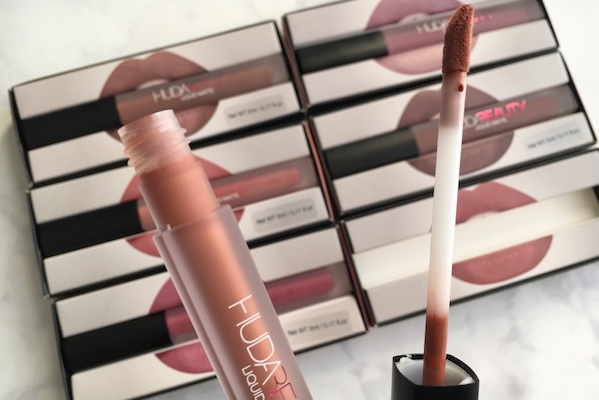 The silky formula applies like a lipgloss them then dries in moments - cloaking your pout with a smooth, kiss-resistant veil of vibrant colour that won't smudge, flake or transfer". 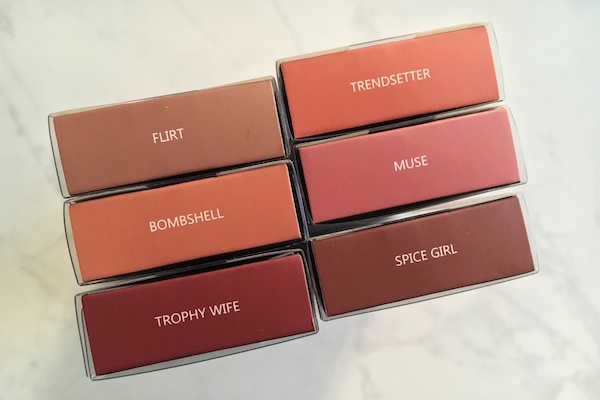 I obviously didn't want to play it safe and just order a couple of shades but I ended up with six out of the sixteen shades and they were the ones I had my eyes on. 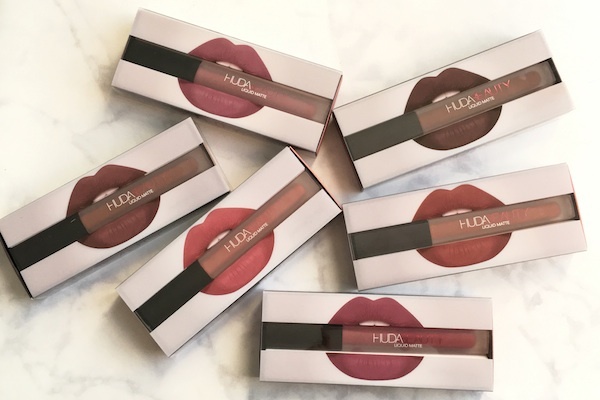 The shades were released to match its twin shade from the Huda Beauty Lip Contour range which were released earlier this year. All the shades I own are super pigmented and a little goes a long way - none appear to be patchy. 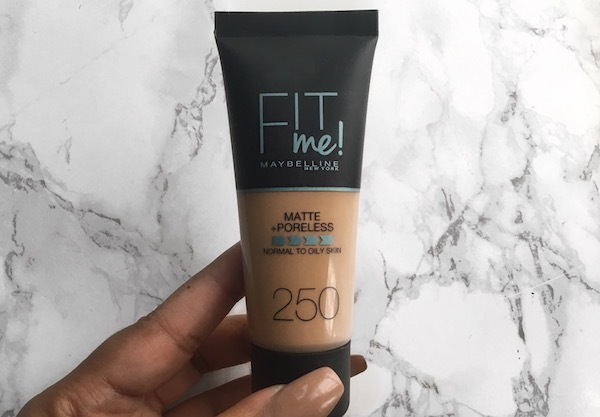 I've read some reviews and already people are complaining that it takes a couple minutes to dry as opposed to the 30 seconds mentioned by Huda. 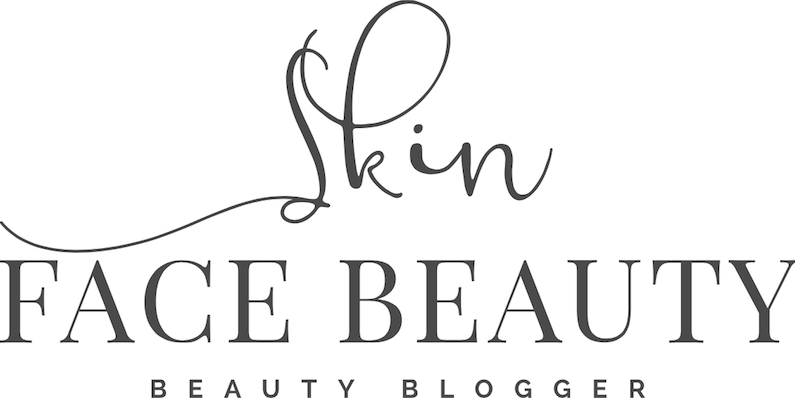 In order for the 30 second drying time, you have to wipe off all the excess product from the doe-foot applicator and then apply the product onto your lips, with the thin layer it will dry much faster and a little product is all that's needed anyway. 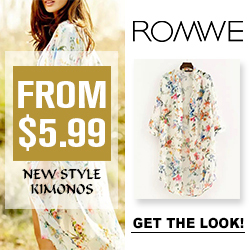 As mentioned before, there are a total of sixteen different shades to match different complexions from light to dark. 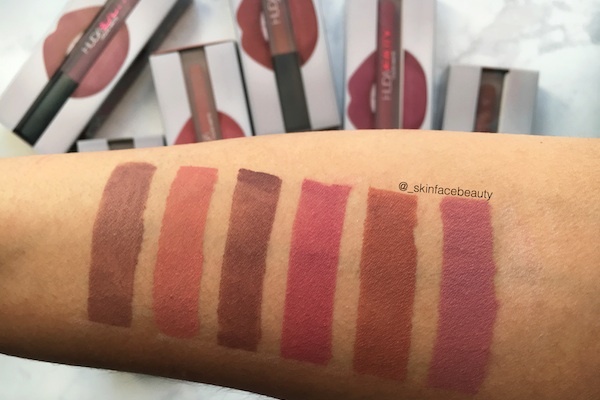 The liquid lipsticks are quite hydrating and very comfortable to wear. 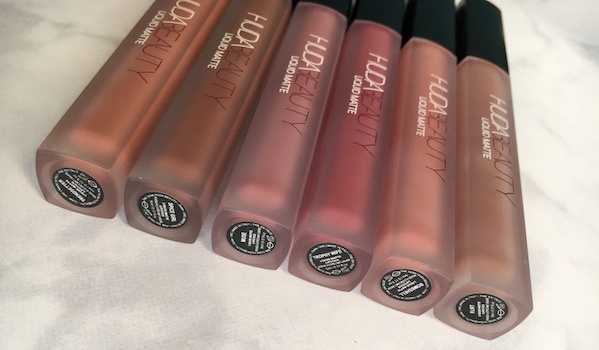 They are also very long lasting and don't budge unless you're eating super greasy foods where the oil will obviously will remove parts of the lipstick on the inner parts of the lips. 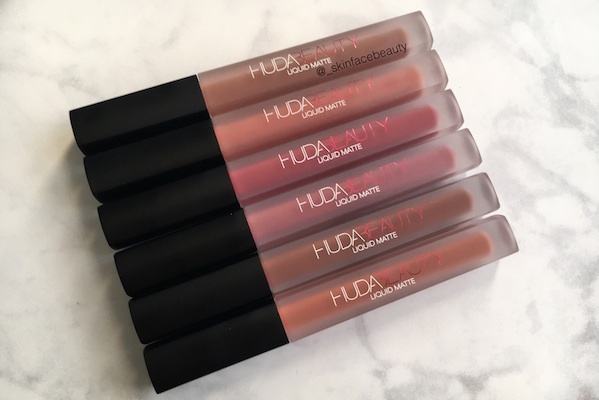 Huda has done a fab job of not making the liquid lipstick totally matte to the point where it dries out your lips yet it lasts so long. I wore mine to a mendhi and wedding in the weekend and on both days the lipstick lasted at least 9-10 hours without reapplying and I ate and drank throughout the night. The packaging is beautiful. 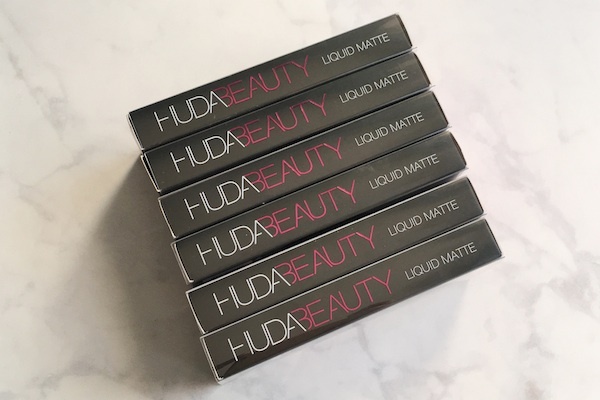 Huda really bought out the originality of lash packaging with the eyes so people could hold the box against theres for selfies. 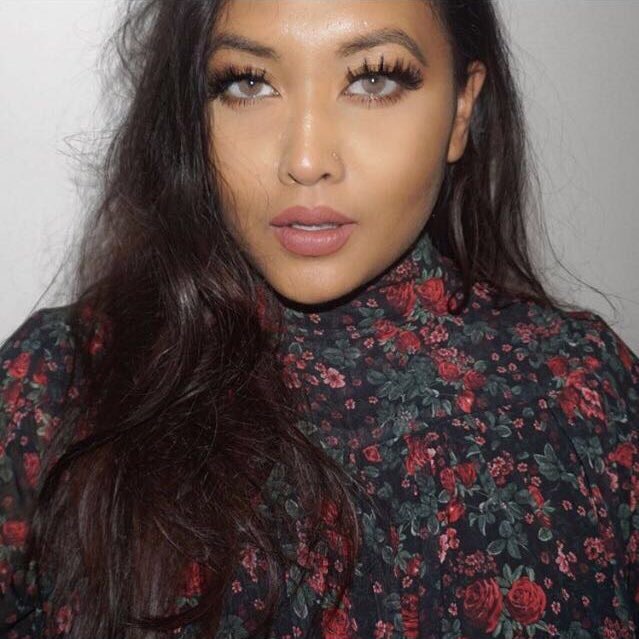 She has done the same with the lips which I absolutely love! 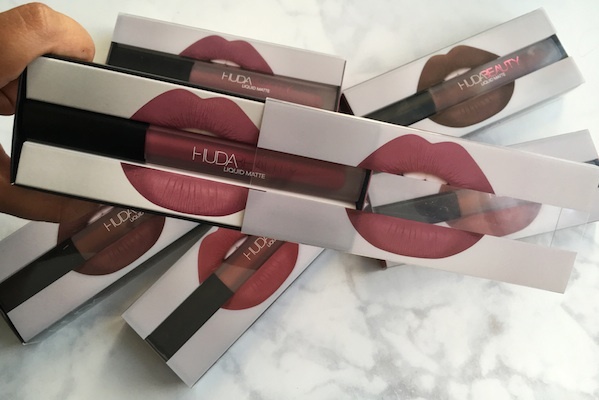 The names of the shades are written at the end of each box and at the bottom end of the liquid lipstick. The actual product is held is a suede-like packaging.